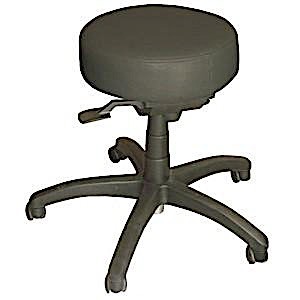 MR Conditional ultra-cushioned stool features a nonmagnetic gas lift, 5 point easy-glide swivel casters for mobility. Black vinyl upholstery. Tested MR Conditional 7T.